Cat & The Fiddle has become a household name in Singapore for cheesecakes despite only being in operation since 2014. They are known for their quality cheesecakes influenced by Asian influences. Also, they try to keep their prices affordable so more people can enjoy their cheesecakes. 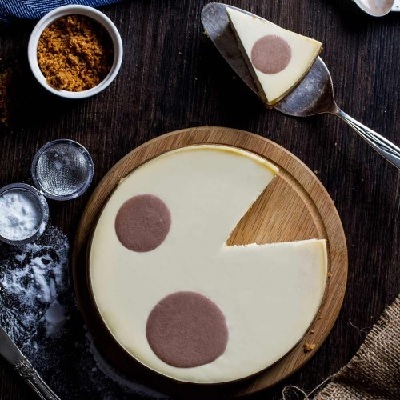 Beyond the classic cheesecake flavours, they are constantly experimenting with Singaporean and Asian flavours. 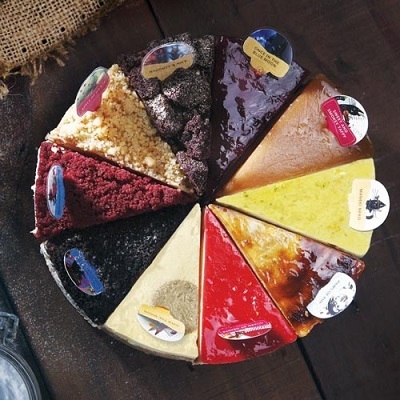 Some of their well-known cheesecakes include ingredients like Mao Shan Wang, Milo, and Horlicks. These combinations with cheesecakes may sound weird, but rest assured that all of them are very tasty! With a master pastry chef like Daniel Tay aboard, their success is no surprise to us. He has more than 30 years of baking and culinary experience. Also, he has won awards at multiple worldwide pastry competitions. Daniel is well-known for being the founder of local patisserie-cafe, Bakerzin. Currently, his passions lie with the expansion of Cat & The Fiddle and reviving Old Seng Choong (a traditional pastry company started by his father). Now, enough of the introductions. Time to take a look at those yummy cheesecakes that Cat & The Fiddle has to offer. Looking at the online menu of Cat & The Fiddle can be pretty overwhelming. There are 17 different cheesecake flavour variations with each looking equally as tasty and pretty. 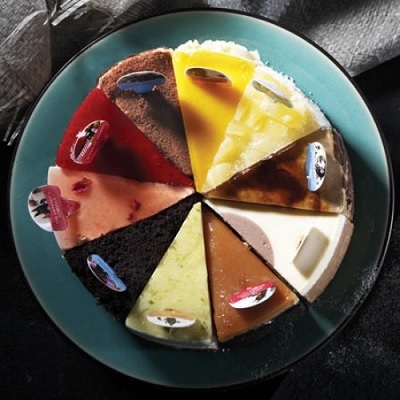 Thankfully, you can sample 10 different flavors just by ordering the Fickle Feline 2.0 Cheesecake! Some of the cheesecake flavours include strawberry, yuzu, oreo, red velvet, apple crumble and chocolate. 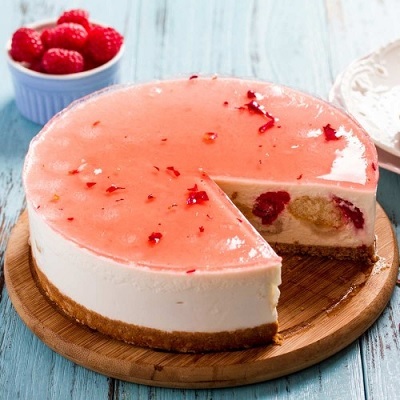 For a full list of the flavours, check out the link to this amazing cheesecake. The 2.0 version of the Fickle Feline does not contain any alcohol so it is perfect for kids as well. 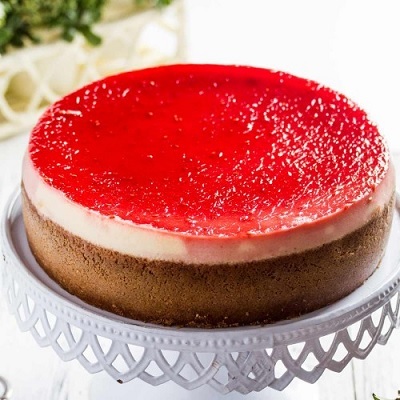 With the large assortment of flavours, this cheesecake is perfect for a gathering or party. Everyone is sure to find a flavour that they like. If you are trying Cat & The Fiddle cheesecake for the first time, it also gives you the chance to find out which flavour is your favourite! Fickle Feline 2.0 Cheesecake is available on Qoo10. Don’t let your tastebuds wait any longer! Oreo cookies and cream cheesecakes are so delicious. So what makes the Cat & The Fiddle’s version stand out? It is hard to point out just one standout point. Instead, it simply feels like a perfect combination of all the ingredients. There is just the right amount of sweetness without being too overpowering. The texture is buttery smooth accentuated by generous bits of crunch provided by Oreos. Every bite just feels perfect. 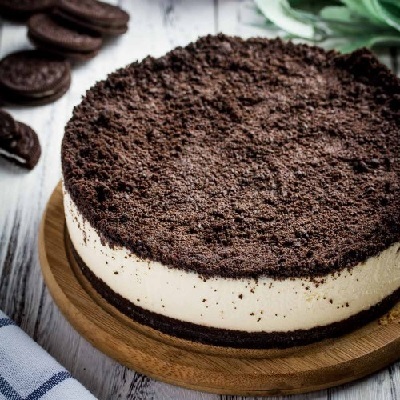 If you are searching for a cheesecake that everyone from young to old will love, there is no better choice than this Oreo cheesecake! Get it on Qoo10 now to enjoy this perfect cake. Yuzu and cheesecake may seem like a little of an odd combination given that one is sour and the other is savoury. Surprisingly they go together very well. The creaminess of the cheese is balanced out by the tart and refreshing taste of the yuzu. In addition, the tanginess quotient is helped with the inclusion of other ingredients like mandarin orange, lime, and lemon. Creamy, savoury and with a tinge of tanginess with every bite! 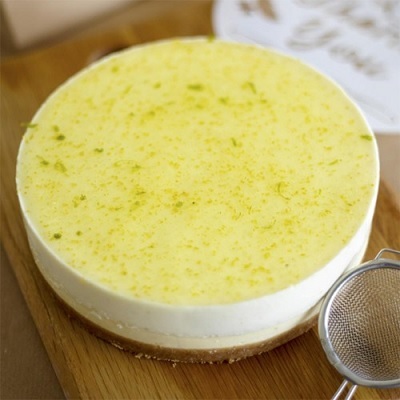 This Yuzu Lemon Cheesecakes definitely gives a nice twist to our traditional impressions of a cheesecake. With a nice balance of flavours, we guarantee that you will not be able to stop at just one slice. Luckily, each cake is made up of 10 slices so you tantalize your taste buds many more times. 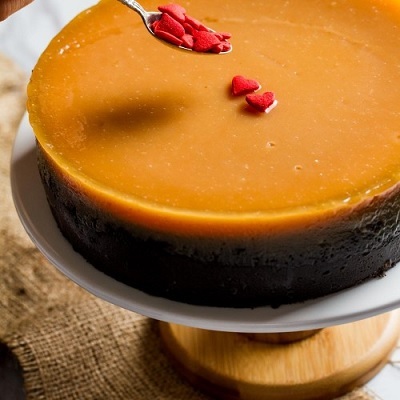 You can get this tangy cheesecake on Qoo10! Order now and ready your taste buds for an adventure! A classic that is a must-try for the purist cheesecake lover! Made with high-quality cream cheese and accentuated with flavour packed vanilla beans, you can taste its richness just by cutting into it with your fork. No fancy ingredients or flavours, just the yummiest cheesecake in its classic form. The texture of every bite feels smooth and light. The cheese flavour comes out strong but doesn’t make you feel jelak even after having 2 or 3 slices. And trust us, you will definitely want to have more than one slice after taking the first bite. Taste a cheesecake in its purest form with this Classic New York Cheesecake that is available on Qoo10! This is the original version of the Fickle Feline that has 10 different flavoured cheesecake in one single order. The main difference between the two version is that this one has some slices which contain alcohol. 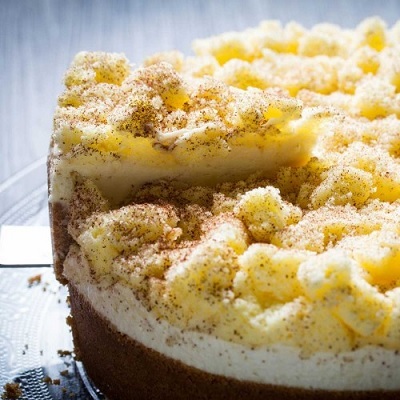 Tiramisu which has rum as an ingredient is one of those slices included in this assorted cheesecake. Perfect for those adult gathering and maybe even an office party! Get a taste of the popular flavours of Cat & The Fiddle cheesecakes with the original Fickle Feline, available on Qoo10! Made with lychee, raspberries, and martini, this cheesecake looks as good as it tastes. It is covered with a shiny pink glaze that allows a peek of the rose petals embedded on top of the cake. Each individual slice has an Instagram-worthy cross-section that shows the ingredients inside. It is definitely a classy look cheesecake. With the addition of martini, this is a cheesecake made for adults. It is perfect for a wedding anniversary or your wife’s or girlfriend’s birthday. Complementing its classy looks is a wonderful combination of fruitiness and creaminess. The addition of lychee adds a tinge of sweetness that goes well with the cheese. Enjoy a feast with your mouth and eyes with this Lychee Rose Cheesecake that you can get on Qoo10! Milo Dinosaur, that’s a must-have at your neighbourhood prata joint. Now that is it available in a cheesecake form, how can we not give it a try! And you won’t regret trying it out. It has all the goodness and familiar taste of Milo that we all love. The sweetness and texture of the Milo powder add an interesting dimension to the cheesecake. As though the mountain of Milo powder on top of the cheesecake is not enough, there’s an additional packet of Milo powder included! This is a super rich cheesecake, so we would recommend that you share it with your family and friends. A slice is enough to send you to heaven. Enjoy this unique Milo dinosaur cheesecake that you can purchase through Qoo10! Can’t decide between a chocolate or cheesecake? 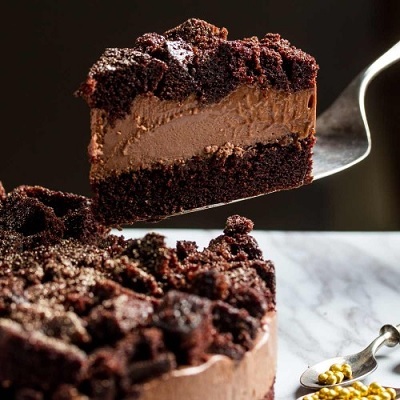 Why not have the best of both worlds with this chocolate cheesecake? If you are watching your diet, this is not the cake for you. It has thick creamy chocolate together with smooth buttery cream cheese. Yummy! Get this yummy creation on Qoo10 by clicking here! 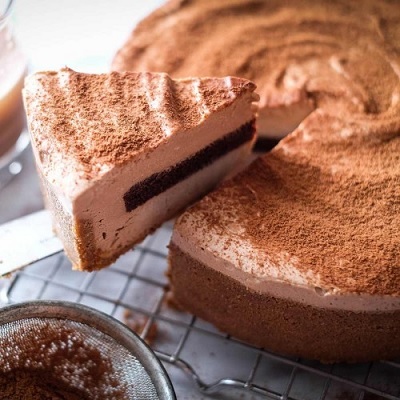 Coffee, tea or this yuanyang cheesecake? If it were up to us, we would choose this cheesecake! Made with espresso and tea in a 30% to 70% ratio, you can taste the flavours of tea, coffee, and cheese with every mouth. If you like the yuanyang flavour of the traditional Hong Kong tea house, this will be a refreshing rendition of it. Coffee and tea lovers you do not want to miss this cheesecake! Order it on Qoo10 today. Durian lovers rejoice! Here is your durian fix combined with the flavours of an already super tasty cheesecake. Made with real Mao Shan Wang durian, even the most snobbish durian lover will approve of this cheesecake! Every bite that you take will definitely contain a mouthful of durian. Cat & The Fiddle are very generous with the durian filling. It tastes best when it is slightly frozen as the cake will have a better texture, we feel. Indulge in your durian addiction with this Mao Shan Wang cheesecake that you can get on Qoo10! Strawberry and cheesecake may seem a little boring considering it has been done for many years. However, why change what works so well. The sweetness of the strawberry works really well with the cream cheese. Along with the robust biscuit base, it all comes together perfectly. Enjoy one of the classic cheesecake combinations at its best! Order now on Qoo10 to make sure there’s stock left! The flavours of a tiramisu are so alluring and enticing. By adding it to the traditional cheesecake, it adds a blend of mystery to it. 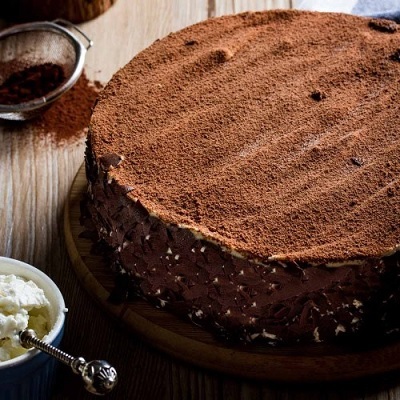 The ingredients of espresso, mascarpone cheese, cream, rum and brandy mix to create a masterpiece of a cheesecake. 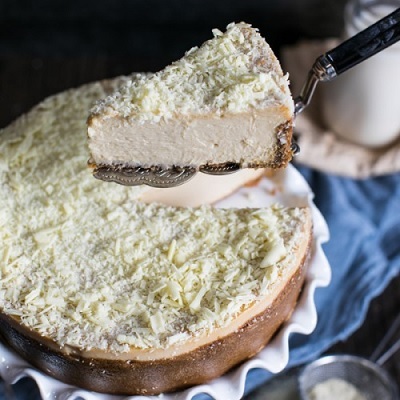 With strong flavours that has a hint of alcohol, this is the ultimate cheesecake for adults! Indulge yourself and get it now on Qoo10! Sweet, tart and creamy. 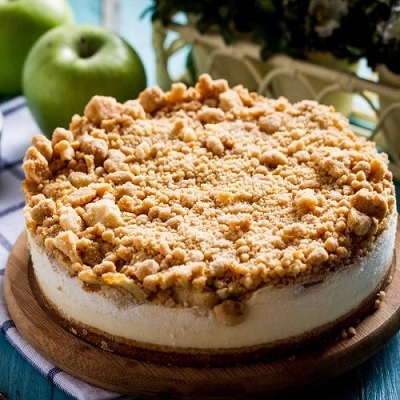 That’s what you get when you mix an apple crumble topping with an extraordinary cheesecake interior. When you look at it from a top, you’ll think it’s an apple pie. But once you cut into it, you’ll feel the smooth texture of the cream cheese mixture. The differences in texture create a wonderful contrast that excites your mouth. A great combination that is sure to please everyone, order it now on Qoo10! If you have a sweet tooth, this salted caramel cheesecake will surely satisfy it. This cheesecake is made up of 3 different parts. The bottom is made with Oreo biscuits which provide the crunch and subtle sweetness. In this middle, the creamy and smooth cheese mix brings the savoury to the cake. All these is covered by a layer of salted caramel that has both sweet and savoury notes. Sweet and definitely delicious! Get this popular cheesecake before it runs out on Qoo10! 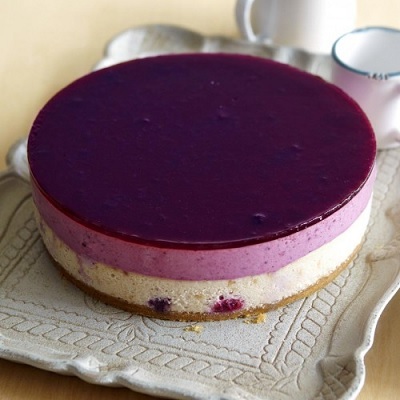 Made with Canadian blueberries, this cheesecake hits all the right notes when you first put it into your mouth. The top of the cake is covered with a layer of luscious jam that is super pretty to look at. Inside the cheesy layer, there are blueberries bits and pieces to provide a texture surprise. It is packed with blueberries, you definitely can’t say that they aren’t generous! Love blueberries? Then what are you waiting for, order this wonderful cheesecake now on Qoo10! Do you remember the comforting and soothing taste of a warm cup of Horlicks? Imagine that on a cheesecake. Each time you take a bite, you’ll be transported back to your childhood. You’ll feel all warm and fuzzy inside. Some of the ingredients in this cake besides Horlicks include condensed milk and white chocolate flakes. All these sweetness is balanced out with the savoury cheese and cream, making it a balanced treat. 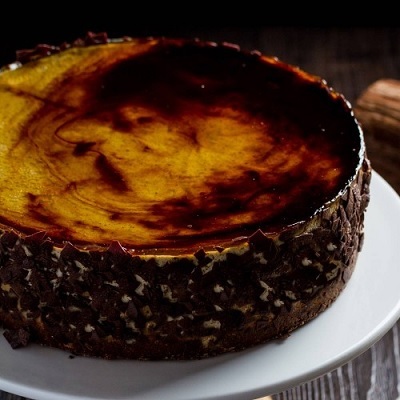 Go back to the good old childhood days with this yummy Horlicks cheesecake. Order it on Qoo10!